Growing up mere minutes from Vermont, I know pure maple syrup. We didn't get to eat much of it on a regular basis, except for the yearly trip to the sugar shack, that our school tried to go to every year. 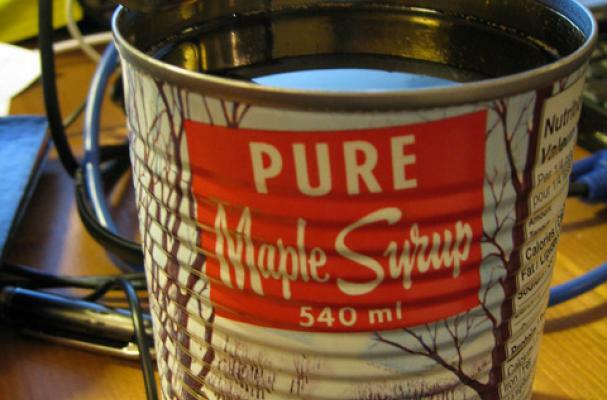 Even back in the dark ages of my childhood, maple syrup was special. Recently, researchers at the University of Tokyo's Graduate School of Agricultural and Life Sciences conducted a study that showed maple syrup may promote healthy liver function. The new research will appear in the November 2011 issue of the journal Bioscience, Biotechnology, and Biochemistry. When we were kids, my mom would boil fresh maple syrup to soft tack stage and make maple candy by pouring the syrup on fresh snow. We loved that candy...what a special treat it was.